Derek's latest post on the 'end of synthesis' reminded me of this perspicacious essay by George Whitesides which I had blogged about on Scientific American last year. I am reposting the piece here. Harvard chemist George Whitesides probably does not consider himself a philosopher of chemistry, but he is rapidly turning into one with his thought-provoking pronouncements on the future of the field and its practitioners. In 2013 he wrote a rumination in the Annual Reviews of Analytical Chemistry provocatively titled “Is the Focus on Molecules Obsolete?” where he uses analytical chemistry as an excuse to really pontificate on the state and progress of chemical science. Along the way he also has some valuable words of advice for aspiring chemists. Whitesides’s main message to young chemists is to stop focusing on molecules. Given the nature of chemistry this advice may seem strange, even blasphemous. After all it’s the molecule that has always been the heart and soul of chemical science. And for chemists, the focus on molecules has manifested itself through two important activities – structure determination and synthesis. The history of chemistry is essentially the history of finding out the structure of molecules and of developing new and efficient methods of making them. Putting these molecules to new uses is what underpins our modern world, but it was really a secondary goal for most of chemistry’s history. Whitesides tells us that the focus of the world’s foremost scientific problems is moving away from composition to use, from molecules to properties. Thus the new breed of chemists should really focus on creating properties rather on creating molecules. 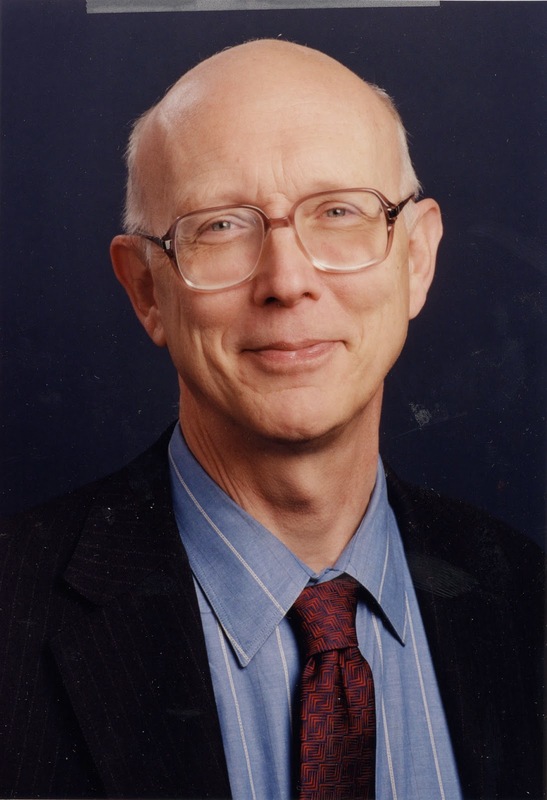 The vehicle for Whitesides’s message is the science and art of analytical chemistry which has traditionally dealt with developing new instrumentation and methods for analyzing the structure and properties of molecules. Of course, since properties depend on structures, Whitesides is not telling us to abandon our search for better, cleaner and more efficient techniques of synthesis. Rather, I see what he is saying as a kind of “platform independence”. Let’s take a minute to talk about platform independence. As the physicist Leo Kadanoff has demonstrated, you can build a computer by moving around 1s and 0s or by moving around buckets of water, with full buckets essentially representing 1s and empty ones representing 0s. Both models can give rise to computing. Just like 1s and 0s simply turn out to be convenient abstract moving parts for building computers, similarly a certain kind of molecule should be seen as no more than a convenient vehicle for creating a particular property. That property can be anything from “better stability in whole blood” to “efficient capture of solar energy” to “tensile strength”. The synthesis of whatever molecular material gives rise to particular properties is important, but it should be secondary; a convenient means to an end that can be easily replaced with another means. As an example from his own childhood, Whitesides describes a project carried out in his father’s company in which his job was to determine the viscosities of different coal-tar blacks. The exact kind of coal-tar black was important, but what really counted was the property – viscosity – and not the molecular composition. A focus on properties is accompanied by one on molecular systems, since often it’s a collection of different, diverse molecules rather than of a single type that gives rise to a desired property. What kind of problems will benefit from a molecular systems approach? Whitesides identifies four critical ones; health care, environmental management, national security and megacity management. We have already been living with the first three challenges, and the fourth one looms large on the horizon. Firstly, health care. Right now most of the expenditure on health care, especially in the United States, is on end-of-life care. Preventative medicine and diagnostics are still relegated to the sidelines. One of the most important measures to drive down the cost of healthcare will be to focus on prevention, thus avoiding the expensive, all-out war that is often waged – and lost – on diseases like cancer during their end stages. Prevention and diagnostics are areas where chemistry can play key roles. We still lack methods that can quickly and comprehensively analyze disease markers in whole blood, and this is an area where analytical and other kinds of chemists can have a huge impact. And no method of diagnostics is going to be useful if it’s not cheap, so it’s obvious that chemistry will also have to struggle to minimize material cost, another goal which it has traditionally been good at addressing, especially in industry. The above discussion of major challenges makes Whitesides’s words about moving away from the molecule clear. The problems encompassing health care, national security and environmental and megacity management involve molecules, but what they really are are collages resulting from the interaction of molecules with other scientific entities, and with the interaction of chemists with many other kinds of professional scientists and policy makers. In one sense Whitesides is simply asking chemists to leave the familiar environment of their provincial roots and diversify. What chemists really need to think of is molecules embedded in a broad context involving other disciplines and human problems. Part of the challenge of addressing the above issues will be the proper training of chemists. The intersection of chemistry with social issues and public policy demands interdisciplinary and general skills, and Whitesides urges chemists to be trained in general areas rather than specialized subfields. Courses in applied mathematics and statistics, public policy, urban planning, healthcare management and environmental engineering are traditionally missing from chemistry curricula, and chemists should branch out and take as many of these as is possible within a demanding academic environment. It is no longer sufficient for chemists to limit themselves to analysis and synthesis if they want to address society’s most pressing problems. And at the end of it they need not feel that a movement away from the molecule is tantamount to abandoning the molecule; rather it is an opportunity to press the molecule into interacting with the human world on a canvas bigger than ever before. Excellent article. Just one small thing -- it's 'vide supra', not 'vida supra'. Could be summarized as "look where the keys are, not where the light is." Correct - I fear the same problem applies to genomics (see previous posts).